The Mayor of the city of Halabja, Ali Osman and the representative of the Regional Government of Kurdistan in Spain Daban Shadala visited Guernica to mark the 80th anniversary of the bombing. They have been received by the President of the Basque Parliament Bakartxo Tejeria and the parliamentary commission of foreign affairs. The Kurdistan delegation has also attended the official commemoration of the bombing and met with the Mayor of Guernica – Lumo, José María Gorroño Etxebarrieta. The city of Halabja has suffered a brutal chemical attack in 1988, in which more than 5,000 innocent people lost their lives. The Mayor of Halabja has visited Guernica to convey the support of Halabja citizens, who understand and sympathizes with the tragedy of Guernica better than anyone else. Together, cities are committed to working tirelessly for a peace in the world, coexistence and solidarity. Erbil, Kurdistan Region, Iraq (cabinet.gov.krd) – Since the start of military operations in October 2016 to liberate the City of Mosul, the number of internally displaced persons, IDPs, who have taken refuge in the Kurdistan Region has risen to 164,000 people. They are mainly located in camps in Erbil and Duhok Governorates. In an interview with Kurdistan Regional Government website, Hoshang Muhammad, General Director of the Joint Crisis Coordination Centre, JCCC, of the Ministry of Interior, stated that approximately 10,000 people are displaced daily from western Mosul. A significant number of them are sheltered in camps in the Kurdistan Region. He added that IDPs from liberated eastern Mosul continue to enter the Kurdistan Region due to poor security and lack of services in the newly liberated areas. Hoshang Muhammad noted that “existing IDP camps in Erbil Governorate are filled to capacity and can no longer admit new IDPs unless earlier IDPs return to their liberated areas in and around Mosul”. Duhok Governorate has only 8,200 tents ready to receive new IDPs, but is unable to admit more IDPs because of severe financial difficulties. According to JCCC director, in 2016 the Iraqi Government allocated funds only to cover the cost of the creation of four IDP camps in Erbil and Duhok governorates, and in 2017 a limited amount were given for the management of the camps. He added that with the efforts and cooperation of all the local private organizations and public institutions, “we have been able to offer relatively adequate assistance and provide basic provisions such as security and protection as well as basic services. Hoshang Muhammad pointed out that only 22 percent of the KRG’s actual humanitarian needs were met by the international community through relevant UN agencies. The rest of the humanitarian requirements are met by the KRG itself. Apart from the cost of the management of the Mosul IDP camps and the provision of basic services, a single IDP requires 3.70 US dollars per day, which is more than 18 million US dollars per month. The JCCC director pointed out that only 41,000 people, or 8,500 families, have returned to Mosul since the start of the operation to liberate the city. The figures and process for returning IDPs to liberated areas in Mosul and surrounding areas remain low and slow moving, respectively. This is due partly to the deteriorating security situation and the lack of basic services as well as the threat of terrorism. The Government of Iraq does not seem to have a plan and does not provide any financial assistance to refugees so they may return to their homes. Furthermore, the process is further complicated due to the regulations of the Iraqi Government in terms of giving authorization to IDPs so that they may return. The Kurdistan Regional Government is actively assisting IDPs to voluntarily return to their homes. The process of voluntary return, however, has been made much more difficult without a concrete and comprehensive plan to assist in the operation as well as efforts of reconstruction of the liberated areas. There is no coordination between Baghdad and KRG’s Ministry of Interior on the issue of voluntary return, security, and reconstruction. To address this issue, the KRG Minister of Interior, Mr. Karim Sinjari proposed the creation of a commission that includes Baghdad, Erbil, and the United Nations to design and implement a stronger strategy, mechanism, and detailed plan in dealing with returning refugees as well as the reconstruction and security of liberated areas. However, neither Baghdad nor the United Nations have responded to such a suggestion. According the Joint Crisis Coordination Centre, nearly 1,341,450 displaced Iraqis reside in the Kurdistan Region. A number of them are settled in 38 camps, while the rest, which are the majority, are living in the cities and town in the Kurdistan Region. At the same time, the Kurdistan Region hosts more than 97 percent of all the Syrian refugees in Iraq. Among them, 228,567 are registered at the relevant agencies while 25,000 others remain unregistered. Sixty one percent of the Syrian refugees are settled in nine camps in the governorates of Duhok, Erbil and Suleimaniya. Erbil, Kurdistan Region, Iraq (cabinet.gov.krd) – Kurdistan Region Prime Minister Nechirvan Barzani received the German Foreign Minister, Mr. Sigmar Gabriel, and his accompanied delegation. The visiting delegation commended the role of the Peshmerga forces in the fight against Islamic State terrorist organisation, ISIS, and praised the people and government of the Kurdistan Region for having accommodated, protected and provided services to a large number of internally displaced people, including welcoming persecuted religious and ethnic communities. Minister Gabriel valued the peaceful religious coexistence which prevail in the Kurdistan Region. Reiterating the continuation of his country’s military and humanitarian support, Minister Gabriel stressed that they seek to strengthen cooperation in various fields between Germany and Kurdistan Region. Prime Minister Barzani expressed his government’s appreciation for the German Government’s humanitarian and military support. He expressed the Kurdistan Regional Government’s willingness to strengthen relations and cooperation. Regarding relations between Baghdad and Erbil, Prime Minister Barzani highlighted the military cooperation between the two sides against ISIS. He noted, however, serious cooperation in other fields is almost non-existent, a matter in which the international community may play a role. Regarding the referendum for self-determination, Prime Minister Barzani stressed that it is a natural right of the people of Kurdistan. In the meantime, he reaffirmed that the Kurdistan Region’s people and political parties do not believe in obtaining their rights through violence, but through serious dialogue where the international community can play a role. We extend our best wishes for Easter to our Christian sisters and brothers in the Kurdistan Region and the world, particularly to those who, like other ethnic and religious communities, were forced to leave their places of origin and become displaced people, as the result of the emergence of terrorism. We wish them a peaceful festive celebration. We hope that we will all celebrate future festive occasions together where final victory against terrorism is achieved and peace and stability prevailed. On this holy occasion, we reiterate that Kurdistan Region’s people and government will remain the protector of the culture of tolerance and coexistence, reflecting Kurdistan people’s old principles and traditions of which they are proud. We will never allow, under any circumstances, the foundations of this culture be destabilized. Kurdistan will remain the umbrella under which all the ethnic and religious communities are protected. Our Peshmerga forces will defend all the communities equally. Once again, we wish our Christian brothers and sisters a peaceful Easter and hope that the displaced Christians will mark the coming future festive occasions with dignity and respect in their places of origin. Today April 14th 2017 marks 29th anniversary of the so-called Anfal campaign during which former chauvinist Baath regime carried out a systematic genocide attack against Kurdistan and its people. In a series of brutal military attacks that targeted the civilians of Kurdistan region, nearly 182,000 were martyred, then their remains were buried in mass graves in Iraq’s southern deserts. In addition to looting and destroying thousands of villages, the campaign left large areas of Kurdistan in ruins. Since the fall of the Baathist regime, one of the top priorities of the Kurdistan Regional Government has been finding those mass graves and bringing back remains of Anfal victims to the homeland. In addition to that, the KRG has been striving to serve and improve the living conditions of the families of the victims of Anfal. It is very disappointing that Iraqi government, after the fall of the Baathist regime, have been failing to provide help and support to the families of victims. As we commemorate the notorious Anfal campaign today, our people have recently faced another genocidal campaign by the so-called Islamic State terrorist organization. However, the people of Kurdistan are close record another major victory against yet another inhumane campaign. Although the aim of the latest terrorist attacks on our Yezidi brethren and other ethnic and religious groups were similar to the Anfal campaign, Kurdistan military forces, the Peshmerga, with the help of the international coalition forces have dealt major blows to terrorists. Whatever plans of enemies such as Baathist regime, ISIS and their likes are, the brave Peshmergas and security forces, supported by the resilience and unity of political factions and Kurdistanis from all walks of life, will always remain as a fortresses in protecting our nation. Moreover, the people of Kurdistan are no longer alone, but they have strong friends and allies in the region and across the world. We believe that the unity and cooperation among all political parties and civil society, will be the strongest deterrence against any potential threat against our nation and land. Just as after the fall of the Baath regime, when a strong, united and inclusive government in Kurdistan had let to prosperity, now as we approach the post-ISIS phase, all political groups and factions of Kurdistan are responsible to pave the way for unity and harmony, as well as participate in creating a promising future for our people in Kurdistan. We once again extend our condolences to the families of victims of Anfal campaign and all martyrs of Kurdistan. Erbil, Kurdistan Region, Iraq (cabinet.gov.krd) – Kurdistan Region Prime Minister Nechirvan Barzani received Iraqi Foreign Minister Dr. brahim Al-Jaafari and his accompanying delegation. Dr. Al-Jaafari stressed the need for continued coordination and cooperation between Baghdad and Erbil, noting that such cooperation has achieved victories against the so-called Islamic State terrorist group, ISIS. Prime Minister Barzani reaffirmed Kurdistan Region’s policy to protect Iraq and the region against the threat of terrorism, jointly with the Iraqi federal army. Regarding the relations between Baghdad and Erbil, Prime Minister Barzani stressed the need to settle the outstanding issues through dialogue and mutual understanding. The two sides also discussed regional political development. 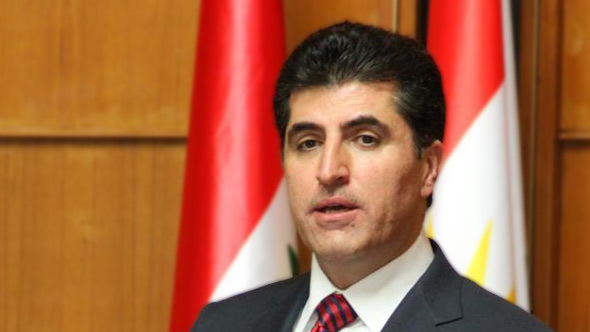 Erbil, Kurdistan Region, Iraq (cabinet.gov.krd) – In a statement, Kurdistan Region Prime Minister Nechirvan Barzani strongly condemned the terrorist attacks, which targeted two Coptic churches in Egypt, killing and injuring a number of people. “I strongly condemn the terrorist attacks which targeted two churches in Tanta and Alexandria in northern Egypt, killing and injuring a number of civilians and members of security forces. I deeply share the grief of the families of the victims and the government and people of Egypt. The people of Kurdistan suffered greatly from terrorism, and understand the suffering of the families of the victims, the people and government of Egypt. They stand in solidarity with them. Erbil, Kurdistan Region, Iraq (cabinet.gov.krd) – Kurdistan Regional Government Prime Minister Nechirvan Barzani, in a statement on Saturday, strongly condemns Friday’s terrorist attack in Stockholm that killed and wounded several civilians. I strongly condemn yesterday’s terrorist attack by a truck in a busy street in Stockholm city centre that resulted in several civilians being killed and wounded. I express my condolences and share the grief of the families of the victims and of the Swedish people and government and I wish a speedy recovery for the wounded victims. At a time when terrorists are losing at battlefields, they try their best to increase their cowardly attacks anywhere in the world. Yesterday’s terrorist act in Stockholm and similar attacks elsewhere, reinforce the need for a broader counterterrorism campaign and a stronger international cooperation to deter and defeat terror and terrorists. The people of Kurdistan Region has greatly suffered in the hands of the former deposed Baath regime. One of the most dreadful sufferings was the use of chemical weapon against the town of Halabja, where in few seconds, five thousand people died. If at that time, the international community had not chosen to stay silent and had taken the required measures vis-à-vis the attack, such crimes would not have happened again. A few days ago, chemical weapons were used against civilian population in Idlib in Syria. This crime reminds us of all the sufferings inflicted upon the people of Kurdistan in late 1980s. We strongly condemn this crime and share the grief of the families of the victims. In order to prevent the recurrence of such crime, the international community must take a serious stance. We hope that the measures taken by the US forces in Syria will prevent such crimes from being committed again. In the Meantime, we hope that serious efforts are exerted to find swift solutions for the upheaval which has embraced the Middle East. 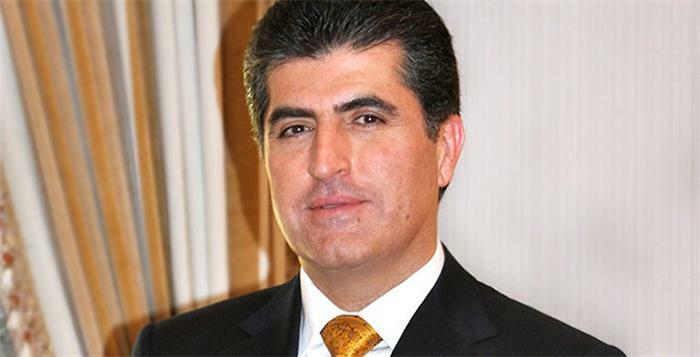 Erbil, Kurdistan Region, Iraq (cabinet.gov.krd) – In a statement, Kurdistan Regional Government Prime Minister, Nechirvan Barzani, strongly condemned the terrorist attack which occurred yesterday at Saint Petersburg metro station. With great sadness, a number of people were killed and injured in a terrorist attack in a metro station in Saint Petersburg yesterday. We strongly condemn this terrorist attack, present our sincere condolences to the families of the victims and to the Russian people and government, and wish a prompt recovery for the injured. Terrorists, wherever they are take advantage of any opportunity to carry out their malicious and evil plans and do not hesitate to kill innocent people. The people of Kurdistan understand the pain caused by terrorism as they are in the forefront confronting it. Wherever such terrorist act occurs, it must motivate further the international community to develop better coordination in order to eradicate terrorism all over the world. Once again, we express our sorrow and share the pain of the families of the victims and of the Russian people and government.